💗These aren’t my words but they are my thoughts and my hope. I’ve only experienced the beauty of this a few times in my life. and I’ve learned it’s easily lost, difficult to obtain and never forgotten…. 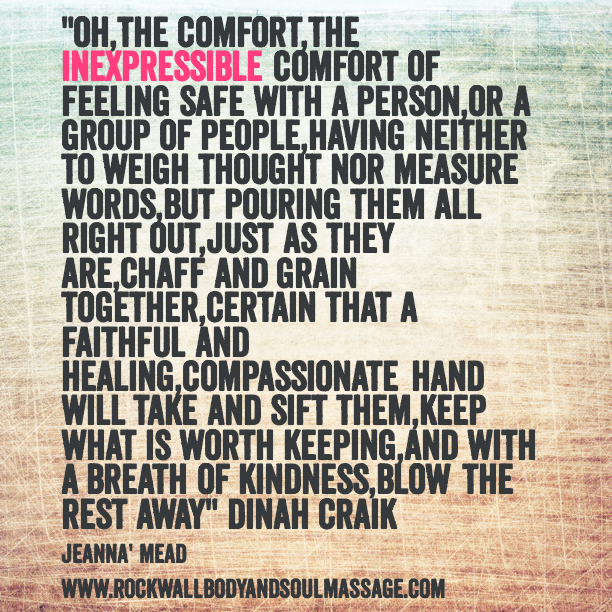 I do hope that I give a sense of Inexpressible warmth and compassion..I so desire for people to feel drawn to me enough to trust me to come inside.